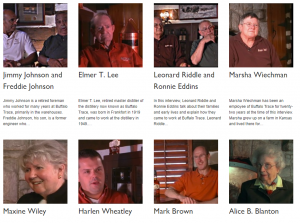 As a result of the award-winning collaboration between the Louie B. Nunn Center for Oral History and West Chester University on the Goin’ North: Stories form the Great Migration to Philadelphia (one of the first projects to use OHMS together with Omeka), Doug Boyd, Janneken Smucker, and Eric Weig collaborated on designing and creating a suite of plugins and themes that would better integrate OHMS with Omeka. As of this announcement, the OHMS Plugin Suite and the Philly Theme have been officially released and can be accessed and downloaded from the OHMS website. OHMS Import allows you to import OHMS XML files and will automatically map fields in the XML files to corresponding fields in Omeka, creating new items as the oral history item type. OHMS Object utilizes the embedded OHMS Viewer to display the Oral History item. It makes the contents of the OHMS transcript or index searchable by Omeka’s global search. Philly is an Omeka theme designed to optimize integration of Omeka and OHMS (Oral History Metadata Synchronizer). When used with the OHMS Plugin Suite, oral history items display in an embedded OHMS viewer and the interview’s transcript/index text is searchable at the global level. Optimal use of this theme requires implementation of the OHMS Plugin Suite in order to integrate OHMS, and the Philly Simple Gallery plugin to automatically generate a gallery page populated with oral history items. The OHMS Plugin Suite and the Philly Theme, as well as all documentation can be accessed and downloaded from the OHMS website.